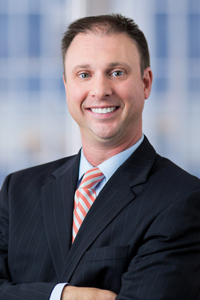 Mr. Chiesa is an associate in the Firm’s Litigation Group. A litigation attorney that gets results for his clients, Mr. Chiesa has successfully handled a wide-range of litigation matters including first-party insurance cases on behalf of the insured; plaintiff's personal injury matters; business disputes; employment matters on behalf of the employee; and collections. Mr. Chiesa also has successfully handled commercial foreclosure matters on behalf of various banking institutions. In addition, Mr. Chiesa has considerable experience in municipal court matters, where he has successfully represented persons charged with traffic, disorderly persons, and drug-related offenses. Successfully settled a hotly contested Estate Litigation matter where his clients received significant funds from a sale of a property in Cape May County. Obtained numerous six-figure collection judgments and has been able to successfully execute on various Defendants’ assets. Served as co-counsel in a personal injury matter which resulted in a mid-six figure settlement where the client was seriously injured when she was crushed between a tow truck and her vehicle. Favorably settled an insurance coverage case on behalf of a homeowner against their insurance company after coverage was initially denied. Favorably settled a slip and fall case after a favorable arbitration award against a casino in Atlantic City, New Jersey. Named to New Jersey Super Lawyer “Rising Star List” for General Litigation 2015, 2014, 2013. *The Rising Stars list is issued by Thomson Reuters. A description of the selection methodology can be found at https://www.superlawyers.com/about/selection_process_detail.html#rs. No aspect of the advertisement has been approved by the Supreme Court of New Jersey.